Stefan Hartmann is currently a research assistant at the University of Hamburg, Germany. He recently completed his PhD in historical linguistics at the University of Mainz. Stefan got interested in language evolution research when he met Michael Pleyer a couple of years ago. Michael’s bad influence is also responsible for his affection to Cognitive Linguistics, Construction Grammar and, occasionally, unhealthy food. To compensate for the latter, Stefan does lots of sports, e.g. extreme conference going, freestyle science blogging, indoor conference live tweeting, and walking incredible distances while giving a talk. 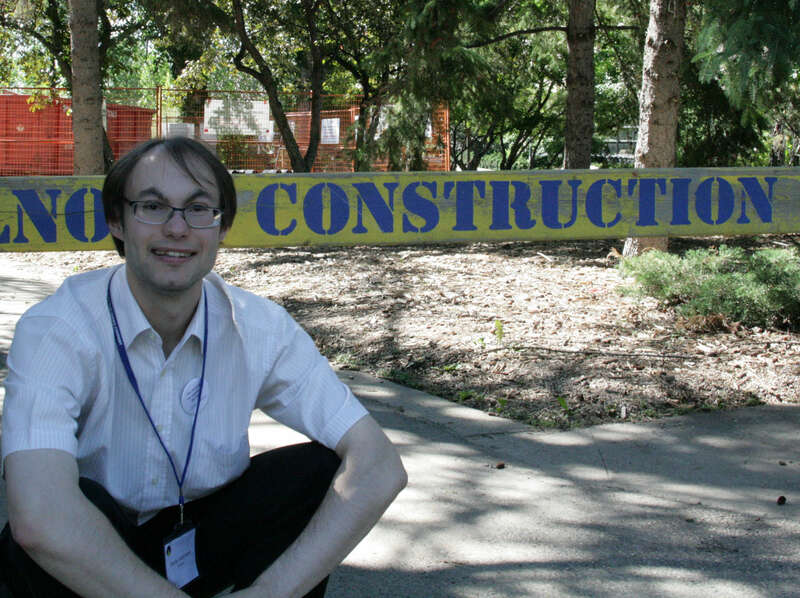 Here’s a picture of Stefan doing field research in Construction Grammar during the 12th International Cognitive Linguistics Conference.